Symbol men's jeans in a stylish carrot fit, created from premium denim fabric. Appropriate for a casual outing. 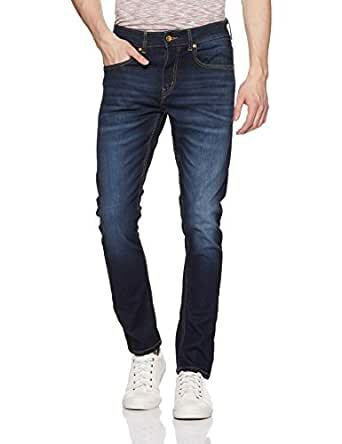 The product is good but I feel that the demin quality is inferior, my brother had ordered Symbol jeans for me sometime ago since then I became a fan of the brand but this one it's not what I was expecting. The cloth is soft and has stretch, yes but I feel that It won't last long according to my usage. The cloth is way too thin and softer for a jean and oh, the colour is dull as well. Returning. 1.0 out of 5 starsOne of the worst "fits" imaginable.